You've probably heard the buzz about kale. But kale isn't just for hipsters. 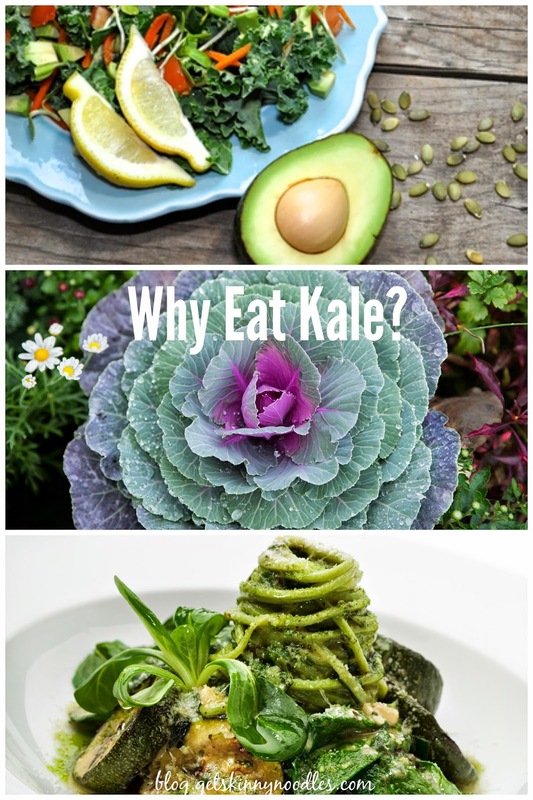 Why should you eat it? Here's a quick breakdown, according to WebMD.com. A member of the cabbage family like broccoli, cauliflower, and Brussels sprouts, kale has leaves that may be flat, curly, or even of a blue/purple-ish tint. Each variety has a different flavor, so make sure to try them all. For instance, natural health expert Andrew Weil, M.D. says he personally enjoys Tuscan Kale best and recommends it to others. Regardless of variety, look for dark, crisp leaves. For quick, easy ways to prepare kale, add it to smoothies (yes, smoothies! ); pan fry it with a bit of olive oil and fresh minced garlic like spinach; or use it for salads. 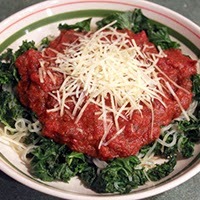 Weight loss and healthy lifestyle blogger Roni Noone developed the following recipe using fresh kale and Skinny Noodles. It's a tasty way to fill up with a healthy, satisfying meal. Spray skillet with non-stick cooking spray and heat over medium-high heat. Add kale; toss for a minute with water and salt. Remove from heat. Add Skinny Noodles and toss with kale until noodles stick together less, about 2 minutes. Return to heat until kale gets a little crispy and noodles are warmed through. Heat marinara according to directions. Top kale and Skinny Noodles with marinara and Parmesan cheese, if desired. Makes 2 servings.